The Guru gave the surname of ‘Singh’(Lion) to every Sikh and also took the name for Himself. From Guru Gobind Rai, he became Guru Gobind Singh. He also pronounced that all Sikh women embody royalty, and gave them the surname ‘Kaur’(Princess). Congrats on the birth anniversary of Khalsa – Happy Baisakhi! The greatest comforts and lasting peace are obtained, when one eradicates selfishness from within. Hope the harvest brings endless joy and happy moments. 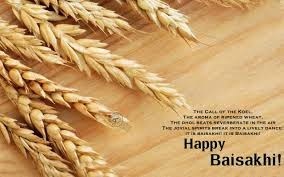 Warm wishes on Baisakhi! 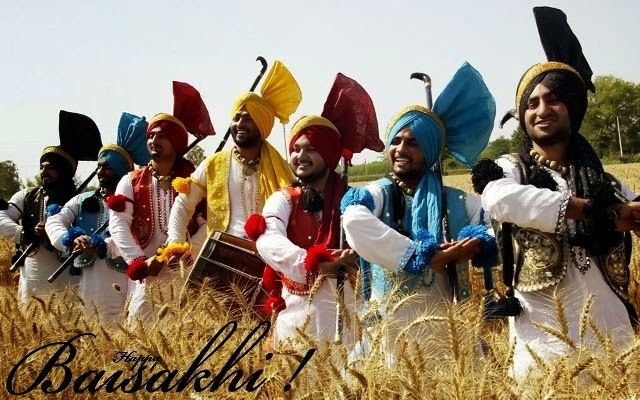 Celebrate the joyous occasion of Baisakhi with fun. Wishing you and your family a fun filled Baisakhi and a prosperous year ahead. 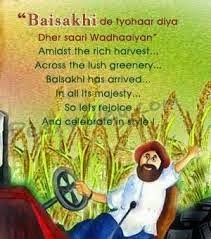 Happy Baisakhi!I convey my heartiest wishes to you and your family on the glorious occasion of Baisakhi. May this be the beginning of a lucky year ahead! I wish you a very Happy Baisakhi. bring all the years full of love and contentment. as cool as water and as sweet as honey. Hope this Baisakhi fulfill all your desires and wishes. Happy Vaisakhi un Khalseya De Naa.